Imagine walking over a mile to school everyday. When you get home from school, imagine walking everywhere you need to go. Now think about what that would do for the shoes that you wear. If you are a child in the Kissahyip Village outside Jos, Nigeria, you are wearing sandals everyday and the shoes that you are wearing constantly are worn with the straps coming off. Through donations from Back2Back’s Gift Catalog, we were able to purchase new shoes for all of the students at Back2Back’s Education Center through a local shoemaker. You can imagine the excitement among the students when we announced that all of them would be receiving new shoes! Everybody loves the feeling of new shoes. No matter how many pairs of shoes someone owns, no one can deny the excitement of putting on new shoes for the first time. For the students, new shoes means the ability to stop wearing the old, tattered shoes and know that they will not have to worry about getting their sandals fixed before school in the morning so that they can attend that day. Something I love about serving here is seeing when ministry areas overlap. 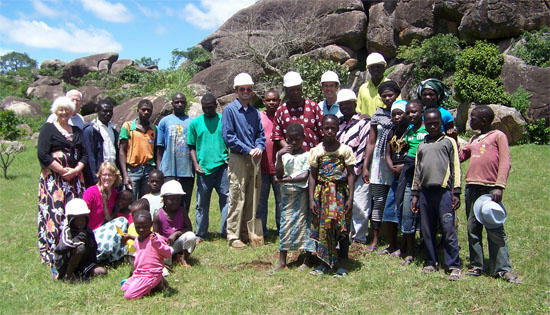 SSE (Self-Sustaining Enterprises) works with a Max, a man who lives outside the Kisahyip Village. SSE has come alongside Max as he has started a shoe business. He makes different types of shoes completely by hand. He gives one pair of shoes to a child in the village for every ten pairs of shoes he sells. We love his vision. Max measured all of the students’ feet and then came with the completed shoes a few days later. 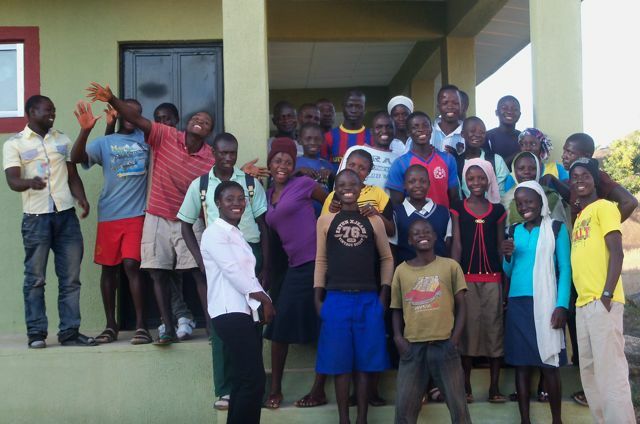 They students were thrilled to receive the shoes and run happily home from the Education Center in their new shoes. I just finished reading a book called, “The Birthright” by John Sheasby. The book discusses the concept of being a child of God and what that allows us access to in Him. In the book, John Sheasby discusses the story of the prodigal son, but talks about it from the viewpoint of the older brother. He quotes Luke 15:29, which says, “But he answered his father, “All these years I’ve worked like a slave for you. I’ve never disobeyed one of your commands. Yet, you’ve never given me so much as a little goat for a celebration with my friends.”” The author goes on to explain how sad it is that the older son never knew the power of what he had access to through his father. All he had to do over all the years was ask his father- and whatever he wanted would have been his. He had total access to his father’s riches, but never thought to ask for it- he just did his work and went on with this daily life. Think about this for a second- we are children of God. We have access to everything that is His. All that we have to do is ask. Just as I gave Jeremiah a red pen because I am his Auntie, God wants to give us good things because we are His children. My point in all of this is that I desire for us as Christians to see the power that we have as children of God. We have total access God’s abundance. He desires to provide for us because we are His children. The best part of all of this is that He knows what we need. It is a good thing that I do not have to figure out what I need and don’t need because I don’t know the whole picture – but God does and He gives what He knows that we need. Praise the Lord for our closeness in relationship with Him! The last few months have been busy for the Kisayhip Youth Development (KYD), a community youth outreach program sponsored by Back2Back. The KYD has sought the best way to give back to their community. Our hope is to guide the discussion for their own discovery of how they can best give back. So far these discussions have led to several ideas for the group. One idea they are working towards is raising chickens. This work can quickly become profitable and is easy for a group to manage. 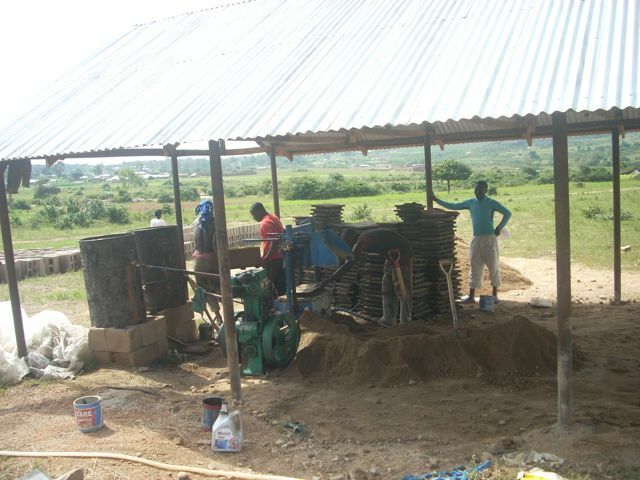 KYD has been looking for ways to make money to begin this project and is currently molding mud blocks to sell with plans to use the profits to benefit the community. Children in the Kisayhip Youth Development Program volunteer to benefit their community. The second idea they have is one Back2Back hopes to partner much more with them on. Back2Back and KYD want to use dry season farming in community development. 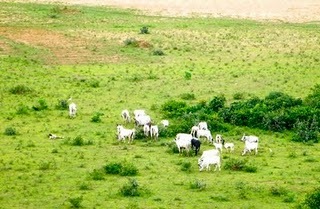 Dry season farming is very profitable here but not done very much do to lack of resources. We hope to provide some of the missing resources so KYD can reap the full benefits of the project. The goal is to help the individual youth in the project eventually be able to break off on their own and farm for a living. KYD has three things they want to do with the profit of these projects. 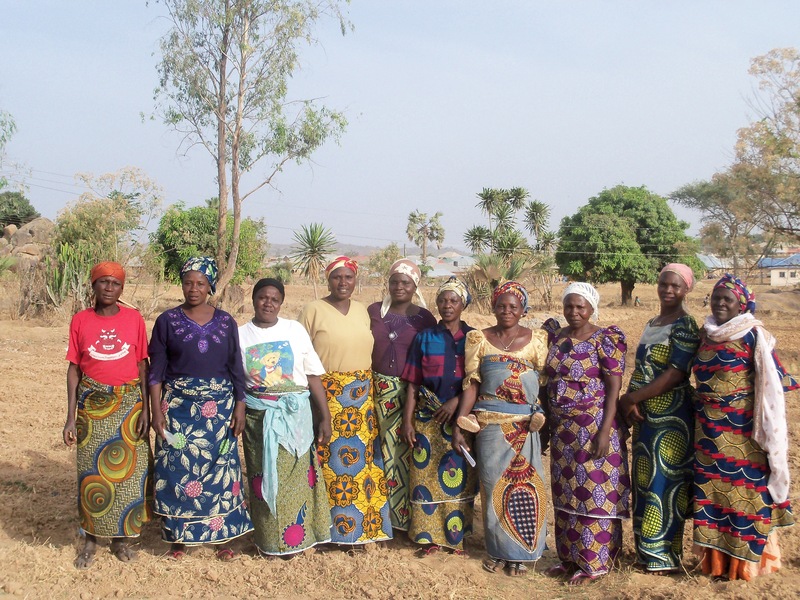 One third of the profit would go to community development projects such as paying school fees for children, providing food for widows and helping to bring electricity to the village, among others. Another third would be individual sustainability for the youth who work the specific project, so the work not only benefits the community but also the youth by providing jobs. The final third is for project sustainability where money would be used for maintenance and further project development such as increasing the number of chickens or amount of land they farm. Back2Back realizes as KYD moves forward with these projects the individuals in the group need to progress in their personal development as well. One area of greatest need for development is biblical character and integrity. Because of the rampant corruption that has spilled it’s way into every area of life in Nigeria the youth have very few good examples of character and integrity. To combat this, Back2Back staff member and national, Daniel Asama, is leading weekly talks about biblical character and integrity with KYD. He uses practical examples to call them to a higher standard of living. We hope this higher standard becomes the example and eventual “status quo” in the village. Please continue to pray for the youth in KYD who are stepping out in faith to bring sustainable change to their village. Last fall, we opened the Oasis Education Center in Nigeria, to expand the educational opportunities of the local orphans and underprivileged children like Happy. New Back2Back staff member, Theresa Reed, and a local teacher hold classes each day, leading a supplemental tutoring program, enabling children to learn the basics in reading, writing and math during after-school hours. 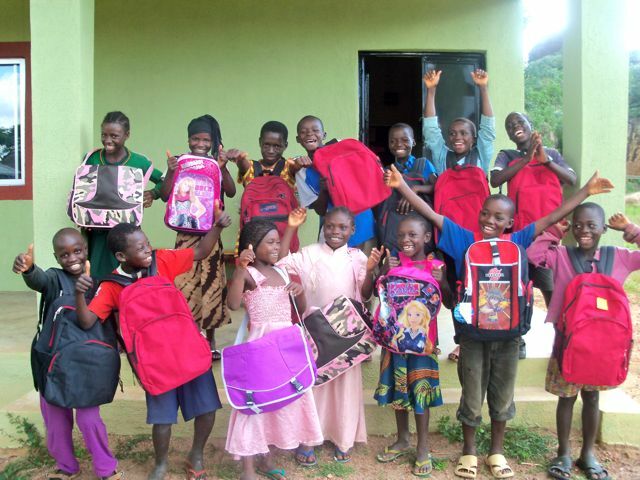 This summer, we launched our child sponsorship program in Nigeria, giving the children at the Education Center an opportunity to benefit from the support of a sponsor. 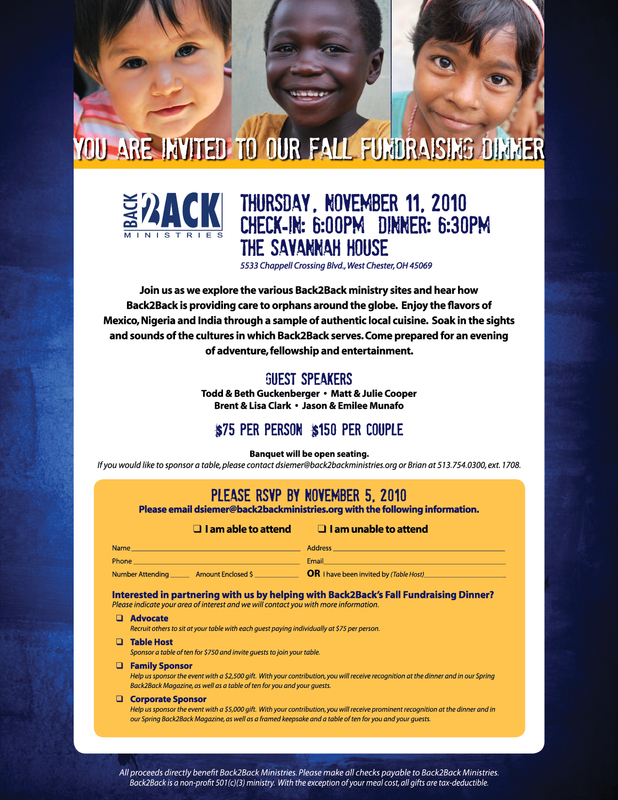 Thanks to the generosity of Back2Back supporters who believe in our mission, within weeks, almost all of the children had sponsors within weeks of launching the program in Nigeria. 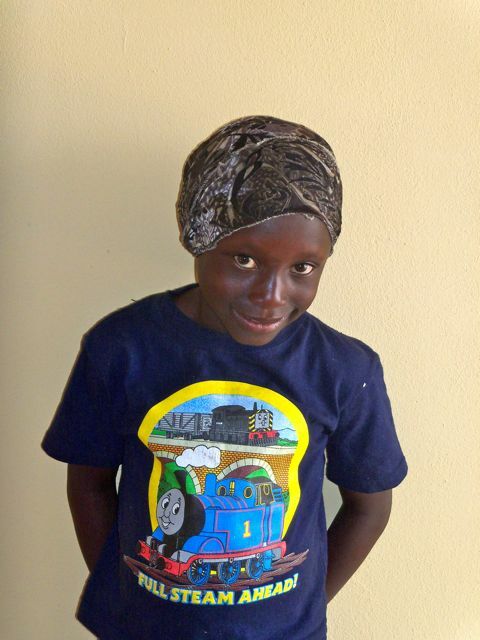 Through the care of Back2Back and the support of loving sponsors, each child has health care, balanced meals, a safe place to learn, and ultimately a brighter future. 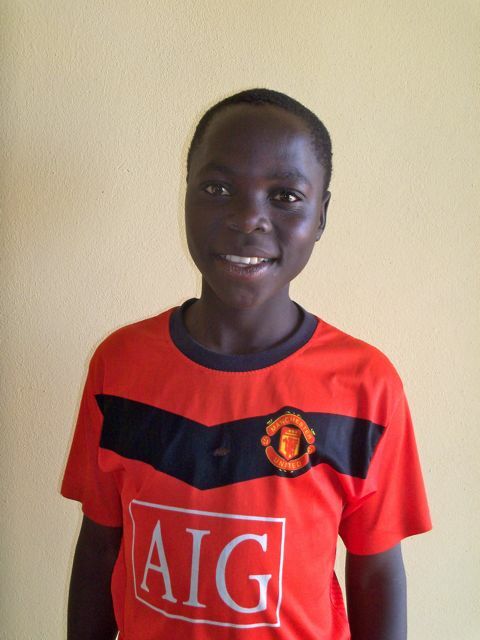 Children at Back2Back's Education Center are now benefiting from child sponsorship. 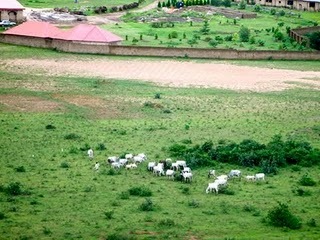 The shepherd boy watches his sheep outside the Nigerian village where Back2Back serves. He is on the far left of the photo in a white shirt. 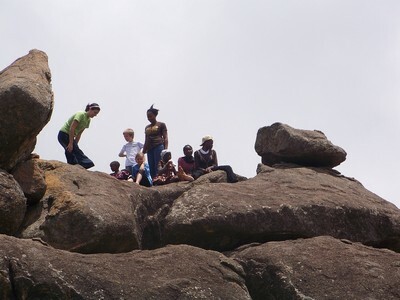 A few weeks ago, I was on the rocks that overlook the village with a few of the interns. We broke off and had time on the rocks alone for a while. During this time, we were serenaded by a little shepherd boy. He was joyfully singing to his herd on the grass below us for a couple hours. He was so happy and his singing endlessly with pure joy! I was reading in my devotional book today about how God is our shepherd and it reminded me of this little boy. I have always thought of The Lord as my shepherd, but it was not until I saw this cheerful young shepherd singing to his flock that I realized how joyful shepherds can be. Why have I not thought before that my God, the Great Shepherd not only speaks to his sheep, but it does it joyfully… singing even!? What a joy it is to hear the melodious voice of my great Shepherd! The shepherd boy lays next to his sheep singing to them (far left). The image of the little boy laying on the ground peacefully, singing loudly and trusting his flock to enjoy the green pastures has given me a new view of how The Shepherd tends to His flock of children. He trusted the flock. He knew that they would stay where he was because they knew and were familiar with his voice. This is our God. Our God loves his flock and them (us) to follow His beautiful voice and know that it is good. Praise the Great Shepherd for this great reminder! Recently, I was approached by a small group of young men from the Kisayhip Village who told me they wanted to have a meeting with me. I asked them what it was about and they said it was about a group they had put together. We set a time and place and I left excited at the thought of what it might be about. The youth are beginning to catch a vision for their community that is bigger than themselves, one that requires they come together to pile ideas and resources to go into their community and serve. This is community development in its very beginning stages. They are starting to catch a vision as a community and start moving toward making it a reality together with Christ as the focus. I told the young men we would be with them every step of the way. I told them as they start something we would come and stand with them in support. Whether that means physically doing work with them, providing part of a financial need, teaching or praying we will stand with them to serve their community. Of all that I said this one thing made the biggest impact: people in the United States are praying for you and the work you are beginning. They found great joy in knowing they are not alone, that people whom they’ve never met care enough about them and their community to pray. Our time ended with a few on the interns who were present and myself gathering around the young men to pray for them and their community. Please join me in praying for the Kisayhip Youth Development and its leaders Joe, Ayuba, Nehemiah, Gideon, Samuel and Marcos. A few weeks ago we began our first project with another team. 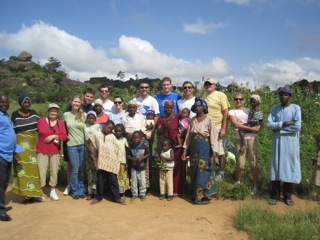 We spent the entire day doing projects at the Oasis Community Center in the Kisayhip Village of Jos, Nigeria. The majority of the team painted the community center with a primer coat to get ready for the Back2Back team next week. 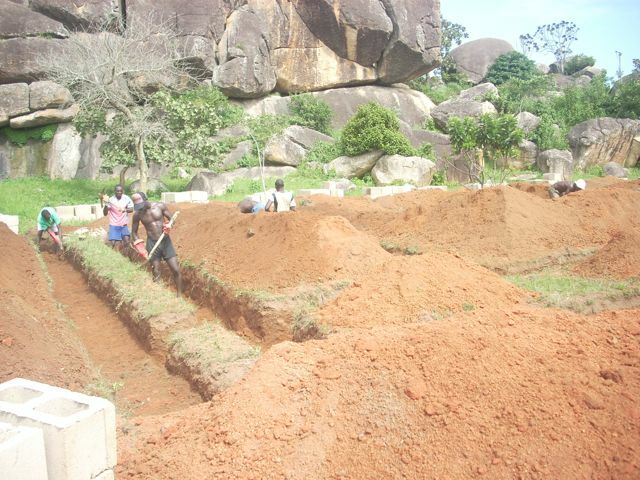 The rest of the group split in two and some worked on clearing the roadside gutter to prevent flooding during the rains and the rest of the group moved a significant amount of gravel, rock, and sand for concrete mixing an building to the other side of the compound to make it easier for future deliveries and a more central location for work. In the midst of the pounding heat we were able to completely prime the building, move all but a handful of the big rocks, and dig out a majority of the roadside. Feelings of accomplishment ran high as we finished out the day sitting on the porches watching a thunderstorm roll by. These types of achievements not only help boost our moral, but really help to show the community the importance of taking care of facilities and thinking a few steps ahead of the current problem. Nigerians are a wonderful people with a tremendous sense of community and perseverance, but have been trampled and pushed down by exploitation, which turns into a terrible foundation of traditions. A large part of community development lays in finding pride not only in your neighbors and family, but also in the actual land and buildings. Loving your neighbor does not always entail saving them from a horrible plight or devastating circumstance, but more frequently, and perhaps more importantly, loving your neighbor means literally doing the small things that you desire for yourself for them. If I want my yard or my house to be clean then how I love my neighbor is also desiring (and acting upon) their yard or house to be clean. The motivation moves from being self-centered to community centered and Biblically obedient. By partnering together and serving those around us who are incapable, either by a lack of resources or a lack of know-how, we are not only serving them we are serving Christ and following the model of love He exhibited for us and commanded of us. Oh, how wonderful it is to worship in work and service! Today marked a more substantial beginning to the activities we will be doing in Nigeria. Anna, Reed, and Emily observed and helped in the OCC (Oasis Community Center) Education classes to help prepare them for the next few weeks of helping teach and tutor a handful of kids from the village. The rest of the team split off into two groups and walked through the village informing widows on an outreach we will be doing on Saturday. The outreach will consist of giving and installing mosquito nets on the beds for the widows and any children they care for in their homes. Personally, it was a very humbling yet joyful experience to get to meet with the widows and interact even for a brief time and limited communication. Thankfully each group had a translator to help with effective communication. 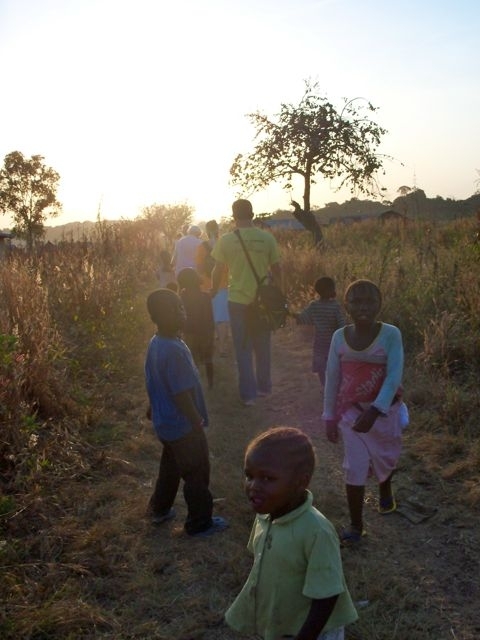 Throughout the time walking I could not help but think of God’s immense heart for the poor, widowed and orphaned . Throughout the Old and New Testament, God’s desire is that the underprivileged and socially forgotten be taken care of in the same way that He loves us. Paul writes so eloquently of this fact in 2 Corinthians 8 and 9 when he discusses the generosity of Corinth in comparison to Christ. Paul discusses how Jesus gave up the majesty of heaven and made Himself poor for our sake. Chapter 9 instructs believers how to respond in similar ways with cheerful hearts and willing sacrifice. I have spent a lot of my time praying Ephesian 3:14-21 for my time in Nigeria and that the power of the Holy Spirit would give me understanding of knowledge that surpasses understanding so that God can reveal the depth of His love for us. When I think about these two passages I cannot help but feel a swelling of joy in my heart when I remember the time spent today meeting the widows and other members of the village. I pray that God would continue to mold hearts into a deeper understanding of His love so that He would receive all the glory for our good. A little over a year ago, students from the Vineyard Community Church decided to “Sacrifice Christmas” by giving up gifts for themselves, and encouraging their parents and others to donate money to the development of Back2Back’s new education center for children in Jos, Nigeria. Their sacrificial gift provided the new students at the Igmin Kibe Education Center with the incredible gift of an education. Back2Back worked with SSE and the community leaders from the Kisayhip Village to decide which children should be first to attend the tutoring that we will offer at the center. The decision was made that they should focus on those in the most need, those children whose fathers have died and their mothers are now widows. These ten students will receive after school tutoring and the focus will be on learning English. In Nigeria, most of the public schools offer poor education and often times the schools are closed due to teacher strikes or the government not being able to afford to pay their teachers. Consequently, less than 50% of children are able to read a simple sentence at the age of eleven. 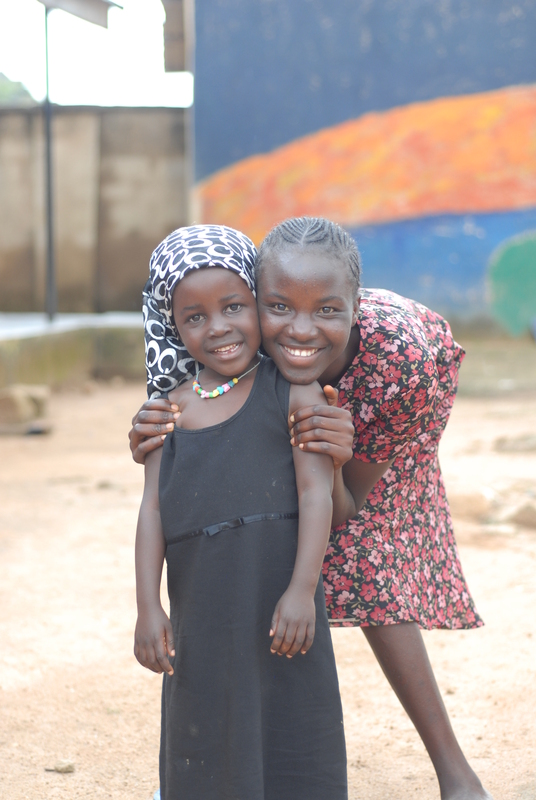 Theresa Reed, our Back2Back teacher, and Esther who just graduated as a teacher in Jos, have had great success. For these initial students, they are taking the first steps towards breaking the cycle of poverty that have plagued their family for generations. It is the hope of Back2Back, SSE and the village of Kisayhip that these students will become self sufficient and be able to provide for their future families. Hannatu could not concentrate. It was only the second day of class, but I could tell that she was not acting like her usual self. Her eyes seemed glazed over and she was un-responsive when we asked her a question. 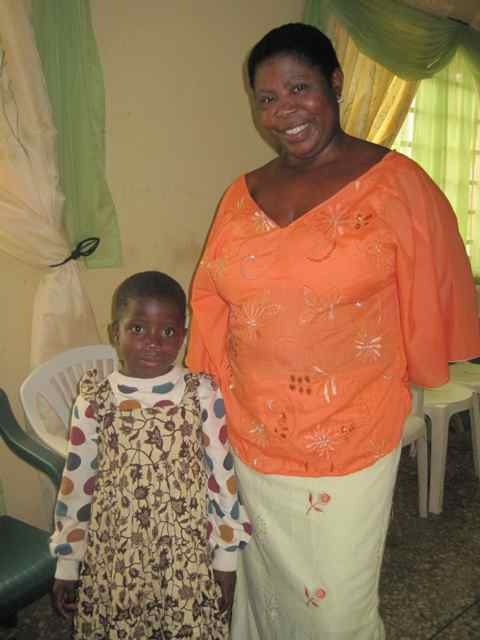 Finally, Esther, the Nigerian teacher who works with me at the Education Center, asked Hannatu in Rakuba, “What is the matter today?”Hannatu responded by saying that her stomach was paining her because she was so hungry. It is basic psychology that humans cannot learn to their fullest potential if their basic needs are not being met. Hannatu was hungry and therefore, could not concentrate. I have no idea when the last time that she had eaten something substantial was or the last time that she actually had protein, but all I knew was that she was hungry. 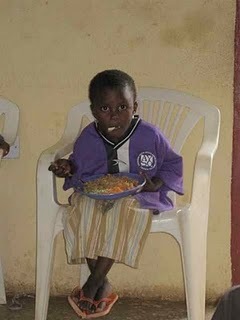 If she was hungry, the other students (who are from her same village) were most likely hungry as well. Because of Hannatu’s honesty with us on the second day of class, we have now started providing a healthy snack for the students every day at the beginning of class. I cannot explain how much Hannatu’s (and the other students’) face light up the first time we gave them a snack during class. They were so excited and are now even more motivated to come to class. They love snack time and are more responsive for class once it is over. Hannatu is now a totally different student. Once shy and timid, she is now all smiles and quick to laugh. She brought an important need to our attention and I believe that by meeting that basic need, we have built trust and confidence in a once reserved student. Learn how you can make a difference in the life of an orphan by serving alongside us at one of our many ministry sites. Back2Back Director, Beth Guckenberger, shares about Back2Back’s mission to provide care for today and hope for tomorrow to orphans in need. 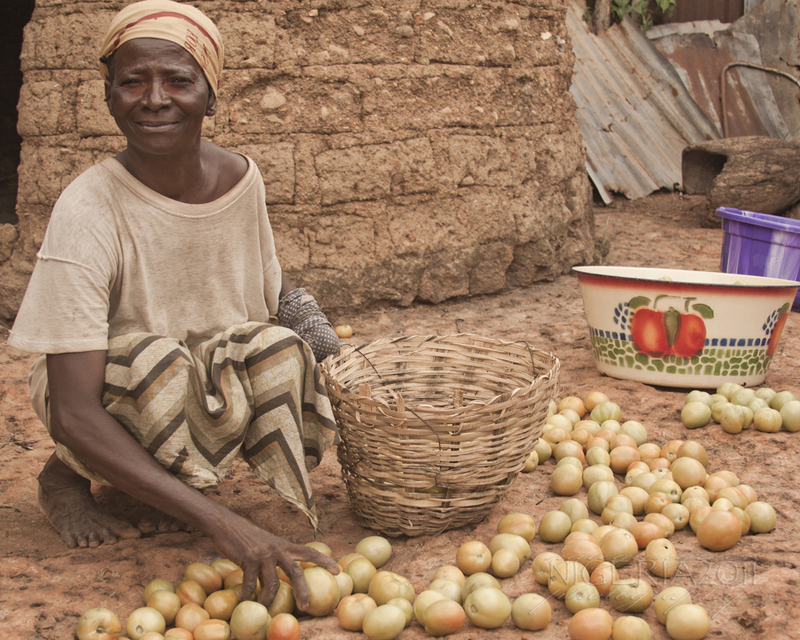 Let us introduce you to a widow from Jos by the name of Lydia. 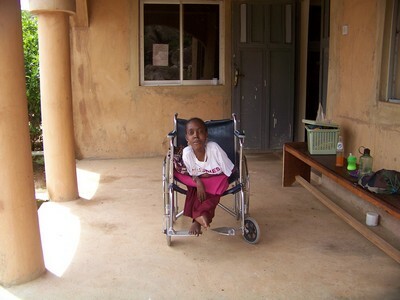 She had an accident recently and is now under Dr. Zamani’s care at the Doctor’s compound in the Kisayhip Village. We met her for the first time a few weeks ago when we took a team from the U.S. there to pray with the patients and to give them a live chicken and some food. Diane from North Carolina and Rashell from California were the two that went in to pray with her and get to know her better. 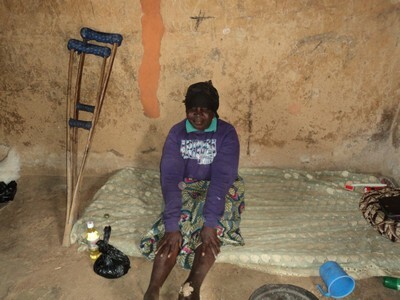 She told them that she had to take all that she had to come to the doctor’s for treatment and she wasn’t sure what she would do when she returned home since she had nothing left except her place to stay. She was thankful to the Lord, however, for His provision and her beautiful smile radiated to show proof of what she said. She was so grateful to have women spend time with her and to pray for her needs. Some on the team pooled their money together and last week I was able to stop in and pray with her and give her the money that the Lord had provided for her. She was speechless, thankful and smiling from ear to ear. Yesterday at the village church, who should we notice coming down the aisle (on her crutches) during the offering but Lydia with the biggest smile on her face. She had walked down the dusty, rocky road from the doctor’s compound to the church (about 1/4 mile) with a thankful heart. We are humbled by people like Lydia – they have so little by this world’s standards, yet like the widow in the Bible who gave her last coin to the Lord, Lydia, with a thankful heart, is His treasured child and is being blessed by God for her faithfulness. 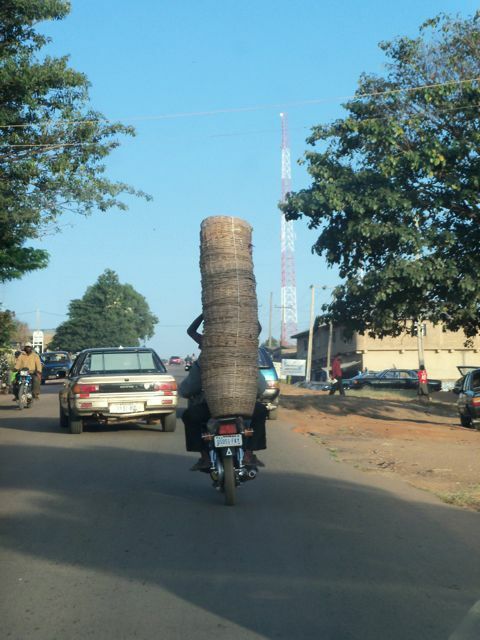 The driving in Jos, Nigeria is crazy! Part of that is due to that fact that there are very few traffic laws in place and even fewer that are actually enforced. But another factor is the obstacles that you encounter on the roads. 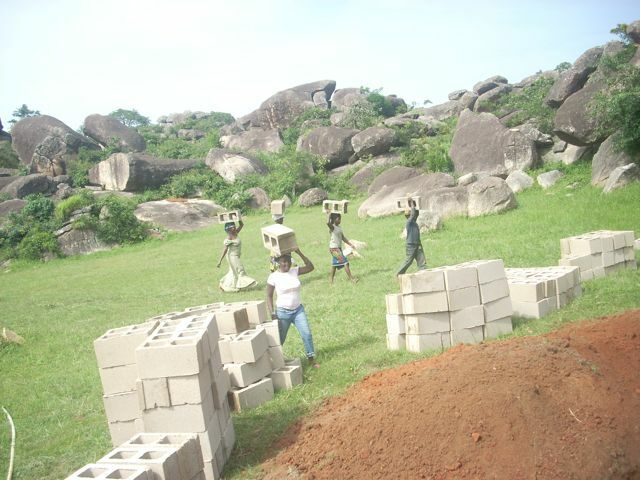 Here are some pictures of a few of the obstacles that we have encountered since we have been here. Some are funny and some just get frustrating, but all slow us down (or make us stop completely) to some degree. God acts like the police in this story for his people (but with a lot more grace). He will remove the obstacles out of the way of his people. He will prepare the road. He will make the path straight for his people. This truth was so encouraging to me. With ministering in a new country, there are things that can quickly feel like obstacles that are blocking expectations that we had. However, our God will remove everything that seems like it has gotten in the way. He prepares the way for his children because He loves them. He desires to give them the desires of their heart. 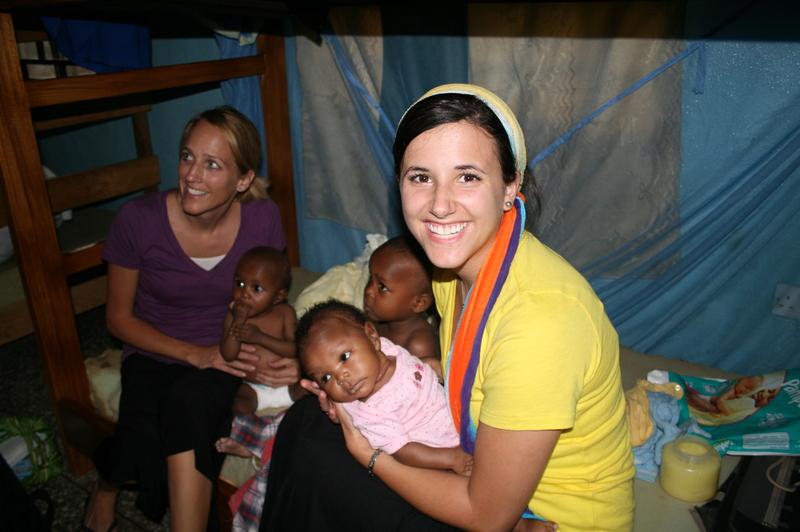 Last summer, Jessica Biondo and Ruby Moyer of the Back2Back Mexico staff traveled to Jos, Nigeria. 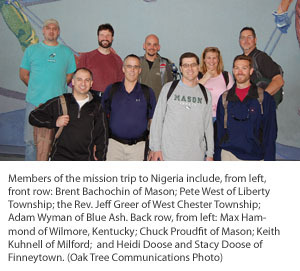 While there, they served alongside our Back2Back Nigeria staff for several weeks. 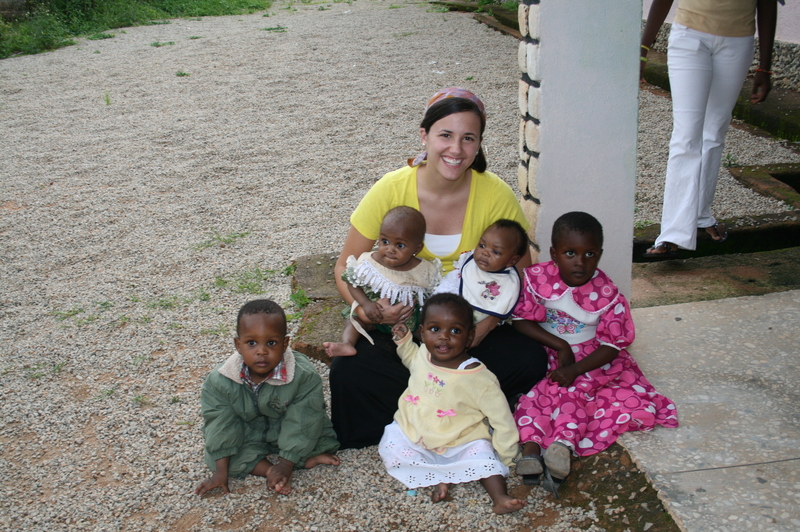 Below, Jessica Biondo shares her reflections on the experience. Try to image this scene with me. You are standing in a small, humble building. There are rocks piled on the tin roof so that it won’t blow off in the wind and the rain. The door stands open to let in the sunlight and the warm breeze. The entire room is bursting with the vibrant colors of patterned dresses and head wraps. Songs of jubilee and praise can be heard for miles around! The singing is joined with the beats of drums and everyone begins to clap their own rhythms, which blend together in perfect harmony. With sheer delight people begin dancing to the front of the room. Everyone is out of their seats, dancing, laughing, singing, worshiping God with all they have in them. It is a church offering and it was unlike anything that I had ever seen before. It is a time of joy, singing, celebration and dancing. It is truly a sight to behold. As I took in the scene around me, I looked to my right and saw Back2Back Nigeria staff, John and Corrie Guckenberger, and their kids singing in the native language of Hausa, worshipping the Lord with the people who have become their neighbors and friends. That moment was a very clear picture of what it means to present your life as an offering before the Lord. 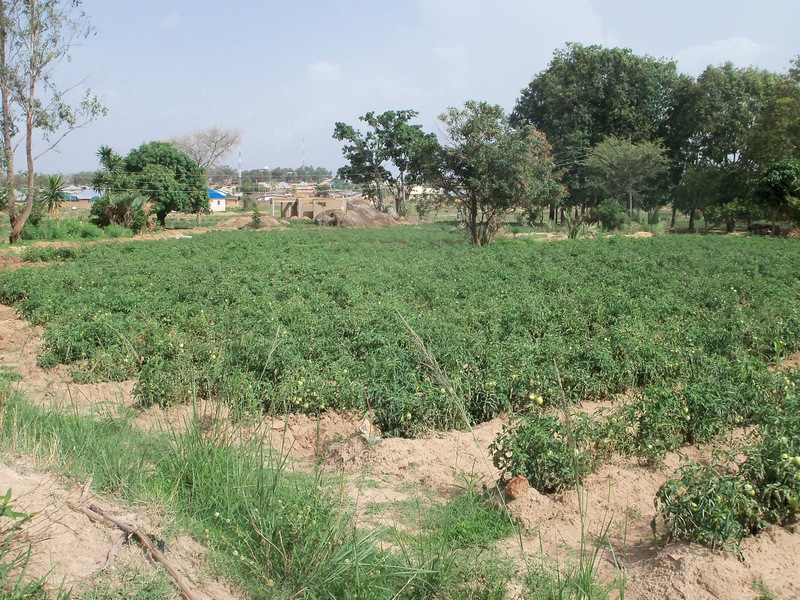 Just as my Nigerian brothers and sisters joyfully sacrificed the first fruits of their tomato crop on that Sunday, I saw Back2Back Nigeria staff daily give their lives as an offering to the Lord to bring His love and hope to the neglected and abandoned children of Jos, Nigeria. As I reflect back on my time in Nigeria, I am reminded of my first glimpse of the country as the plane descended below the line of gray clouds. I was struck by the beauty that lay before me in the splashes of green vegetation amidst the sea of red dirt and rock. This first glimpse of the country stuck with me and came to represent a constant theme that was evident everywhere I looked. It is a theme of beauty in the midst of hardship, joy in the midst of poverty, blessing in the midst of pain. It is the goodness and provision of the Lord shining through to bring hope to our broken world. It is this hope that I had the privilege of witnessing at the village church each Sunday. It is this hope that is evident in the lives of the people who offer their lives to fight for the cause of the orphan child. 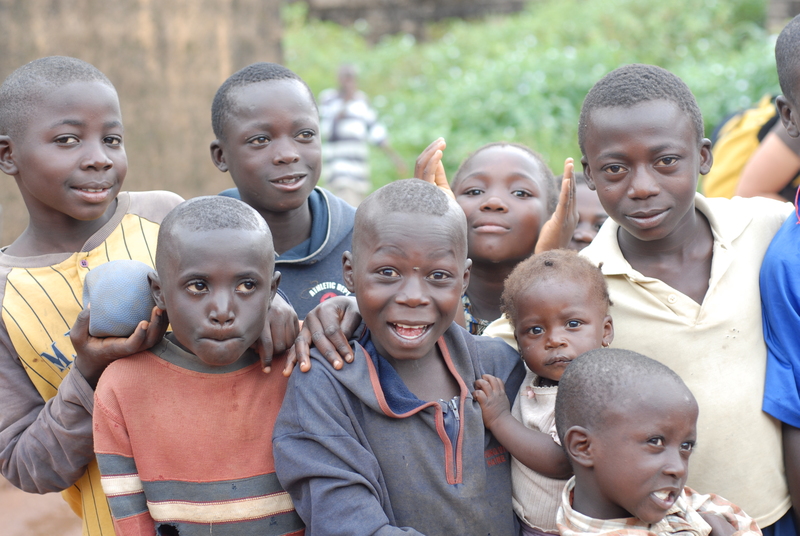 And it is this hope that will ultimately bring healing and restoration to children in Jos, Nigeria. Our time with our new friends in Nigeria seemed to pass by so quickly, yet the effects of what we experienced and learned continue to work through each of us on a daily basis. 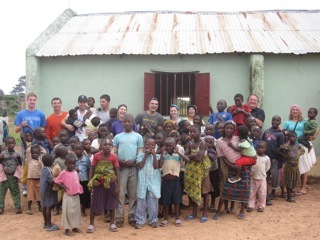 We got home about three weeks ago from what most of us would say was the best trip of our lives; a ten day opportunity to serve, love, and learn from what many people would consider “the least of these” along side the amazing staff of Back2Back Nigeria. It is honestly hard to pick out singular impactful events because the week was so well planned out that each event or opportunity to serve held significance from playing with and holding beautiful orphans, to using our underwhelming construction skills to help build the new educational facility and a new orphanage to praying with widows. Every day was full of amazing experiences and encounters with people just like us, working hard to provide for their families and putting their dependence, despite their extremely challenging circumstances, on a God who loves them very much. It was a true honor and a privilege to be a part of Back2Back’s work in Jos. It was entirely humbling to have the opportunity to serve and serve with such amazing people. I’ve heard very often about individuals wanting to go places to share God with people, which is certainly a noble cause. However, in my experience, the people of Nigeria did a lot more of sharing God with us, then we could have ever shared with them. We simply opened ourselves up to be used in whatever way God saw fit and then waited anxiously to see what He would do. And what He did was awe-inspiring. We are so excited to continue to share the stories of what we’ve learned through our experiences with our friends and neighbors back here in Kentucky. 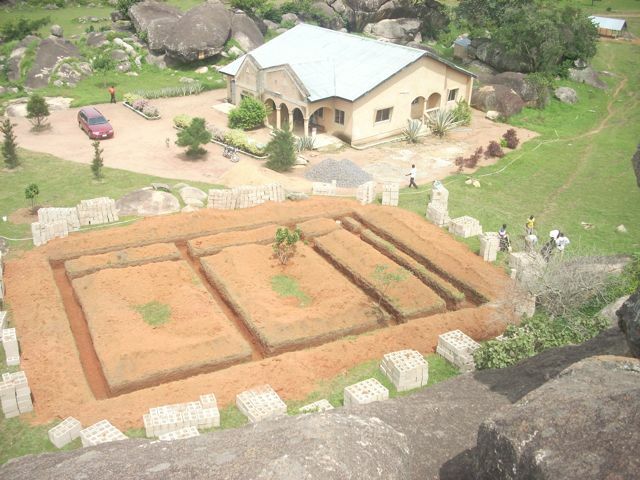 We are anxious to share the challenges that our friends in Nigeria face so that we can make a small difference there. However, we are also excited to share what we’ve learned from their dramatic dependence on a loving Savior and how that kind of dependence can cause a deeper love for God in our lives here. Thank you Back2Back for making this possible. We are forever grateful. 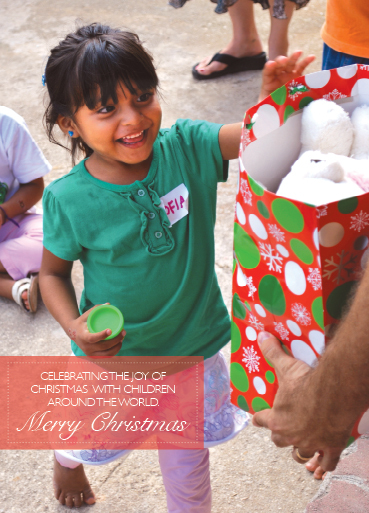 This Christmas, give a life-changing gift to an orphan in need. 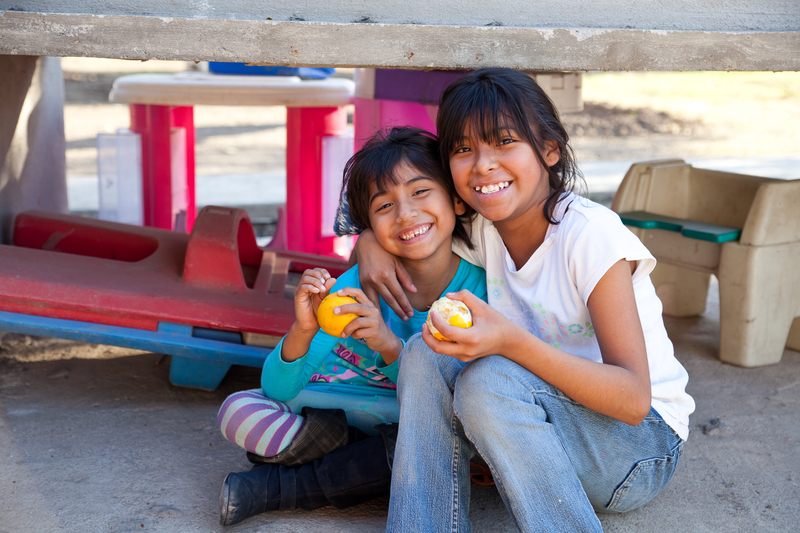 Choose from dozens of items in our gift catalog to help the children that Back2Back serves in Mexico, Nigeria and India! 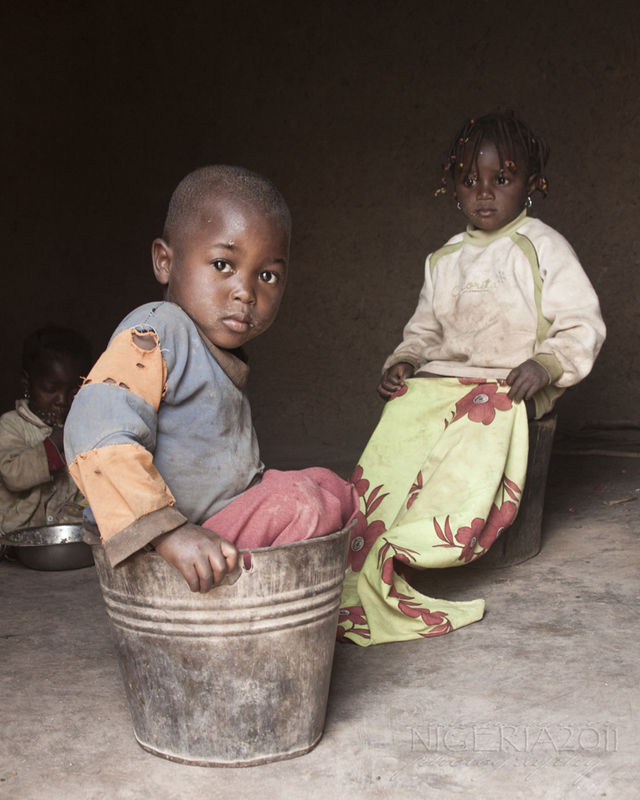 Your gift will make a lasting impact in the life of a child this Christmas. This is a great way for individuals, families and churches to celebrate the true spirit of the Christmas season! 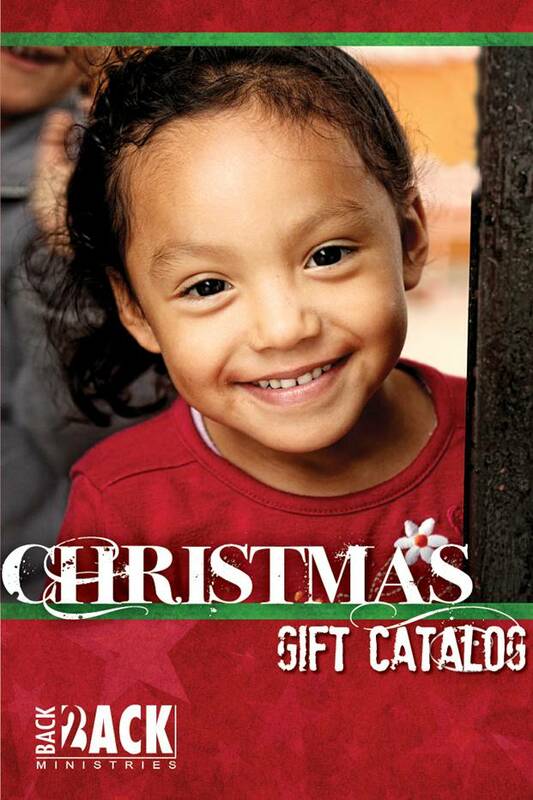 If you did not receive our Christmas gift catalog, please contact us at 513-754-0300 and we will be happy to send one to you. 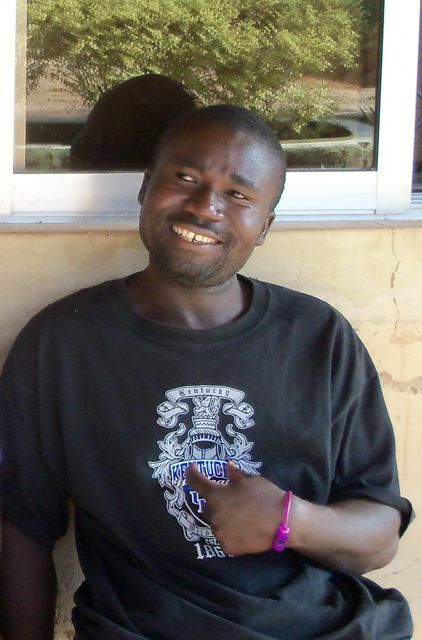 Emmanuel has a true heart for his own community and loves that Back2Back is there to support his village. We love working alongside Emmanuel as God gives us a united vision to bring H.O.P.E. to the community! 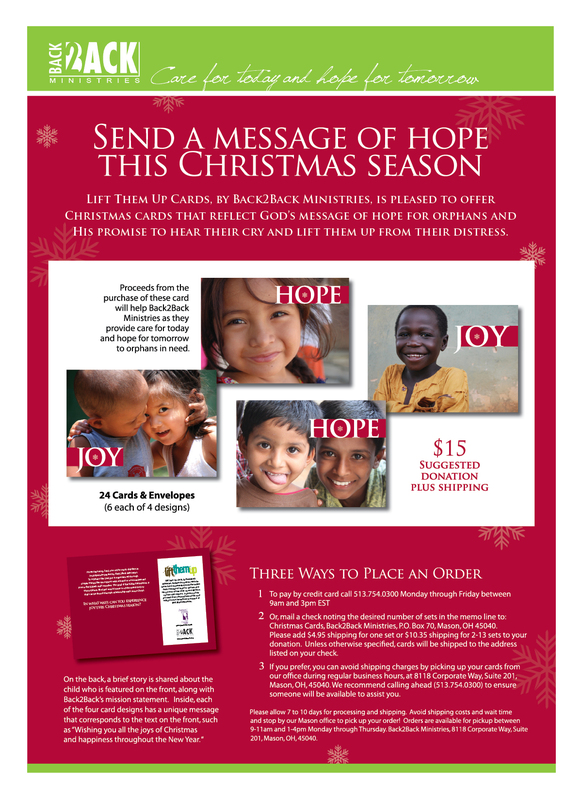 Send a message of hope this Christmas season! Back2Back Ministries is pleased to offer Christmas cards that reflect God’s message of hope for orphans and His promise to hear their cry and lift them up from their distress. Proceeds from the purchase of this card will help Back2Back Ministries as they provide care for today and hope for tomorrow to orphans in need. 2. Or, mail a check noting the desired number of sets in the memo line to: Christmas Cards, Back2Back Ministries, P.O. Box 70, Mason, OH 45040. Please add $4.95 shipping for one set or $10.35 shipping for 2-13 sets to your donation. Unless otherwise specified, cards will be shipped to the address listed on your check. 3. If you prefer, you can avoid shipping charges by picking up your cards from our office during regular business hours, at 8118 Corporate Way, Suite 201, Mason, OH, 45040. We recommend calling ahead (513.754.0300) to ensure someone will be available to assist you. A couple weeks ago I worked at another Back2Back staffers house digging a trench and clearing some big rocks/sand. As I cleared it from the yard I would take it to the street to fill in the big holes and ruts that force us to drive very slowly on our road. As I repeated this sequence of cleaning to “build the road” I realized this is something we are going to be doing for some time to come in a figurative way. 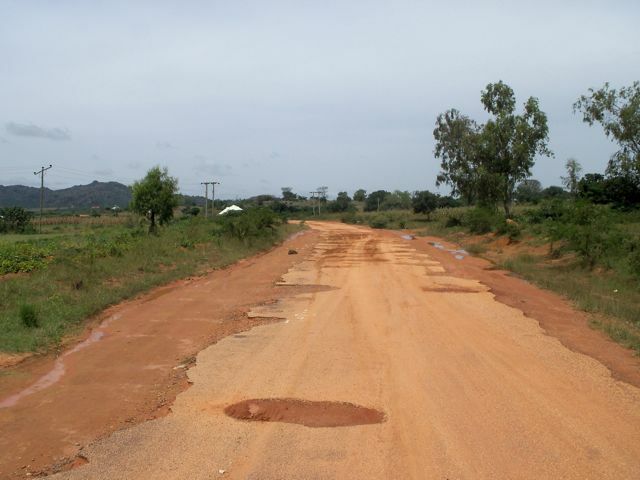 A lot of the things Back2Back is doing here in Jos require us to figuratively “build roads” to reach people. 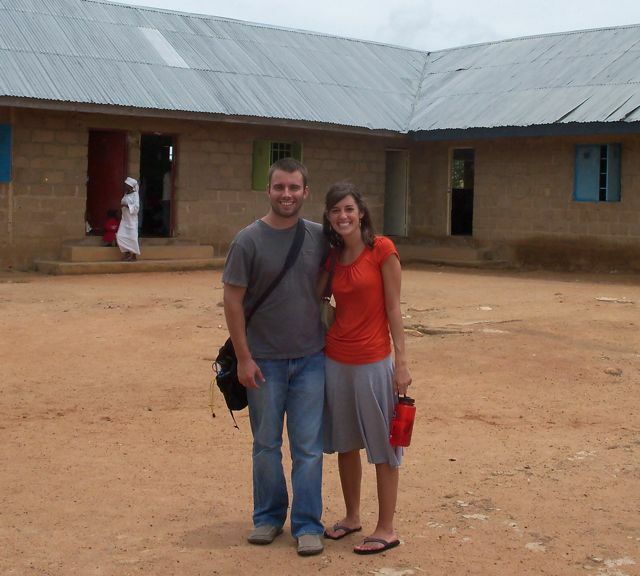 Theresa (Back2Back staff member and my wife) will be building roads to reach children through education. Each encounter she has with the students will help her earn their trust and know them better. As I spend time with the people in the Kisayhip Village where we serve I will do the same thing. We will not be able to love the people we are here to serve unless we are willing to “build roads” to reach them. This process of building roads takes time. After putting several loads of dirt and rocks on one spot in the road a car would drive over it and pack it all down, still lower than it needed to be. It took several more loads to get it where it should be. As a staff we are excited to continue to take the time of building these roads, whether literally or figuratively. Please pray with us that God gives us the patience endurance it requires. I am not just posting a blog, but giving you a testimony of my Back2Back (B2B) experience. It has been three years since I first met Jason and Emilee Munafo, the Directors of B2B Nigeria. I was already working two jobs here in Jos, trying to make a living. My field is Information Technology (IT). When I first met Back2Back Nigeria Staff, Jason & Emilee Munafo, they recognized my deep desire to succeed and learn so, they introduced us to an American businessman who came alongside us, assisting us in launching a small IT business. With the help of a Back2Back donor who wanted to assist entrepreneurs, we were given a set of laptops and contemporary training in web-design and development by Griffith Holdings, Inc., a company in the United States. As a result of the Munafo’s support and the generosity of Back2Back partners, we were recently named one of the top web-design companies in Nigeria. I wouldn’t say we have already achieved all that we hope for but we are continuing to move forward and we can see the prospect of a better market with time because of the blessings we have been given. 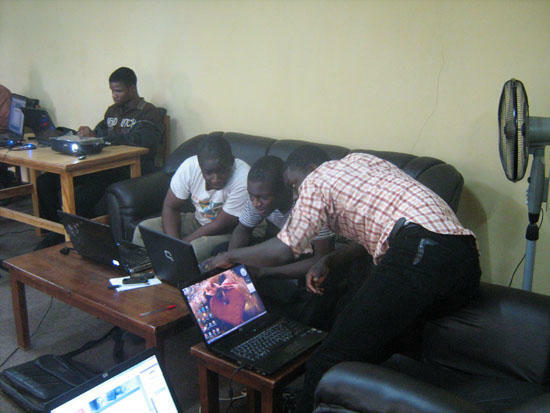 We have started training others in the community, so as to pass on what we know and what was shared with us. We have trained eleven people so far . . . all because someone gave and someone came. 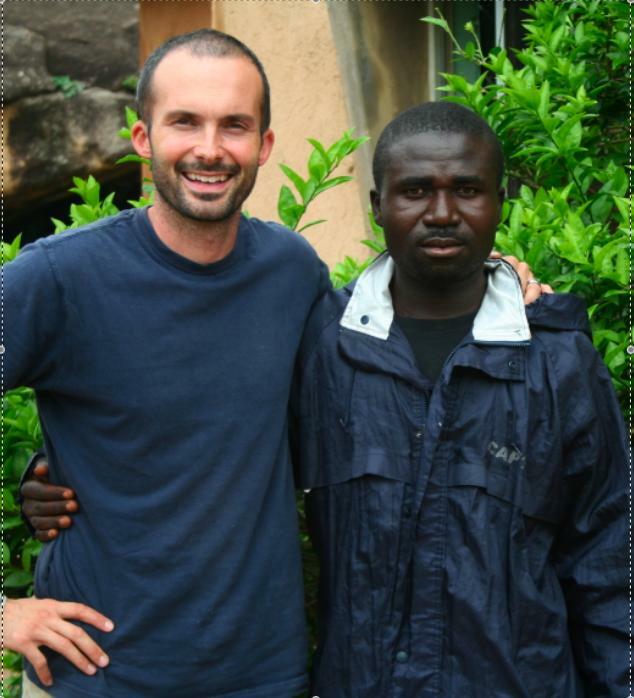 Because of the positive experience that I have had with Back2Back, I recently joined the Back2Back Nigerian staff as the co-captain of community development, along with Will Reed, who also recently came on staff in Nigeria. He and his wife, Theresa, are going to be a huge blessing to the ministry. 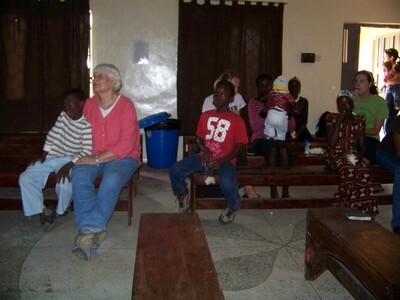 We have introduced our monthly ministry program at the Viewing Center in the Kisayhip Village. We call it “Forums”, where we will be discussing life morals and biblical principles to young men from the village. I was once that child who knew education was not a quest for KNOWLEDGE but a means for SURVIVAL and I had no means whatsoever to achieve that, even though I had the zeal and understanding. I just couldn’t pay for it. Growing up, we had only corn meal and sometimes warm water for dinner. So, schooling would have been a luxury we couldn’t think about. This makes the Education Center, which will be starting up in the village very shortly, a “hope-raiser” for many of the children in the village. So here I am, through the special grace of God, writing this blog for B2B, and communicating in English through my computer . . . all because someone gave and someone came. I would love to someday hear a similar testimony from the children that we serve in the Kisayhip Village. 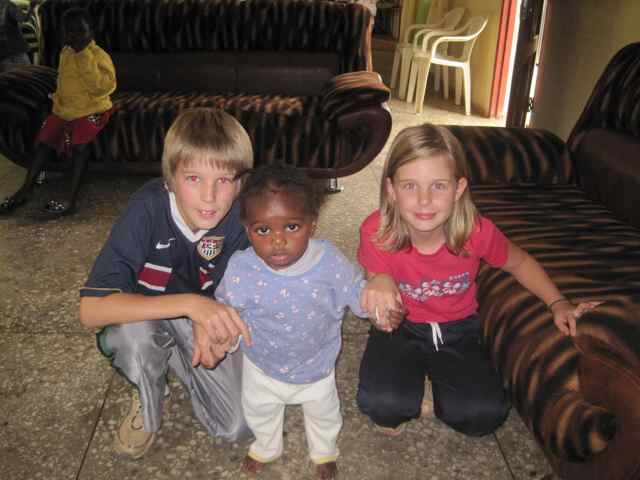 As Will and I arrived to Nigeria last Friday (September 17th) we were full of emotions. Emotions that ranged from excited to terrified; overwhelmed to secure. All the things you would expect to be feeling after leaving everything you have known to move to such a different place. One thing that we knew would take a while to acquire was a sense of belonging. 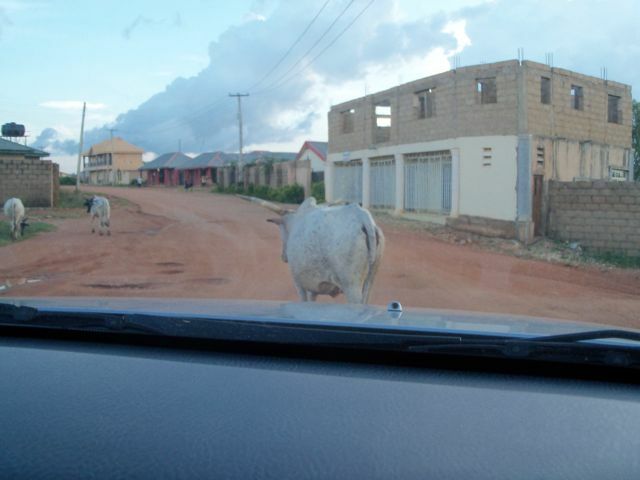 On Monday, Emilee took us into the downtown area in Jos to register for our driver’s license. On this first visit into town, we were greeted with many bright smiles from the local Nigerians and a phrase that I continue to hear daily and stuck out to me,“You are welcome!” As we walked down the street, or passed the security guards at the bank, we were greeted with this phrase. People who don’t know anything about us (except for our obvious skin color) tell us we are welcome in their county. This not only has made us feel more secure in being here, but also has given me something to “chew on”. How often would I go up to someone who is clearly foreign in the U.S. and, without knowing anything about them, tell them they are welcome in my country? I appreciate the joy this culture brings. In the midst of a busy week of getting used to living in a new country, it has been encouraging to know we are welcome in this place. I praise the Lord for directing us here and for his friendly children in Nigeria that are eager to welcome us. 1) The picture below is of Big Mama. She is one of the caregivers here at OLA. The girl to her left used to live in OLA. Both of her parents have passed away and her grandfather came and picked her up awhile ago. Well, as they were “checking in” on how some of the kids were doing that have been placed back in homes, they learned that she was being mistreated. Big Mama took her in as part of her family. What a kind and generous heart. 2) By now you might recognize little Kenny. BUT, do you recognize his new walker? Fellow Back2Back Nigeria Staff member, Emilee Munafo, was there yesterday helping the kids all get ready when she rushed in the living room where I was and pulled me into the baby room. She said, “Oh my gosh, you have got to see Kenny!” And sure enough he met me at the door scooting, ever so professionally and big boy like, towards the hallway. I could have cried. 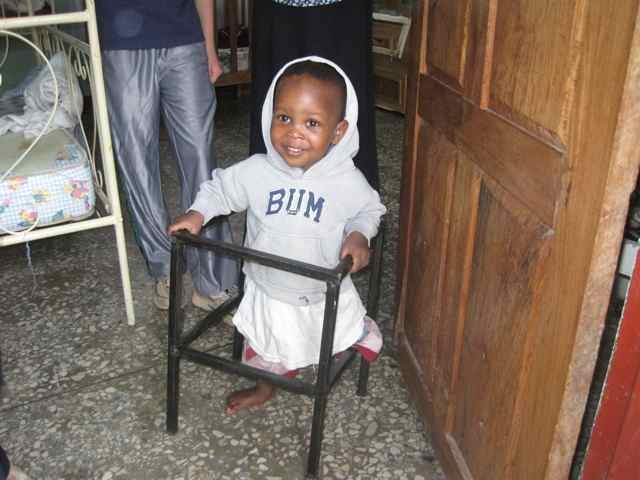 He is getting so big and what a blessing for him to have a little help! My heart swelled as he handled the walker with grace and pride. 3) Yesterday was Abigail’s birthday, which is why we went to OLA in the first place. My mom picked out a beautiful pink scarf for Abigail as a gift from all of us and she looked stunning in it. Her party was so encouraging as friends of hers came to celebrate her life. A life full of hardship, but friendship also as evidenced by the people that came that day to recognize the gift she is to us and the kids in this home. She has grown up here, but takes responsibility for each one of these babies. 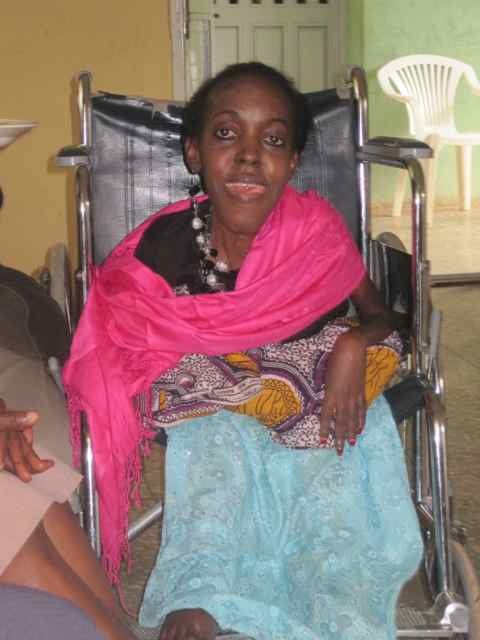 She has had to receive help her entire life, but she doesn’t let that discourage her. For her, give and take is a part of life, a little help here, a little help there. She gives just as much as she receives. No pride, just relationship! These last photos are of big Mary as she walks full time now, and Hope who starts school in two weeks. She is excited, but nervous as well. Each one of us needs a little help now and then, don’t we? Yesterday, the little girl who lives with Big Mama, Kenny and Abigail showed me that a little help can be perceived as a weakness or it can be received with joy as a gift from God, one not to be missed out on, ever! May your day be blessed with a little help from others! The other day I was talking with Emanuel who is from the village and is helping us run the Oasis Community Center. He is twenty-three years old and is well-educated. I asked him what he feels is the one thing that would most help this community. So, I asked him how he became educated. He told me it was not easy. His parents, who both are still living, divorced when he was very young. His father is an alcoholic who happens to be a doctor and his mom, as he says, is a very difficult person. His parents would not continue to pay for his education. So at the age of fifteen he left home to live on his own. He started working at the local carwash and made enough money to build a small one-room house (shack), buy food, and pay for his schooling. He said every day was hard. Emanuel still works at the carwash and says many of his friends who work there with him were in the same situation as he was. The only difference between Emanuel and the other boys is that Emanuel knew the importance of education. He said most of those boys can not read or write and that as a result, the carwash is a dead-end for them. The money they make does not go toward things that last. Alcoholism is a big problem in this community. 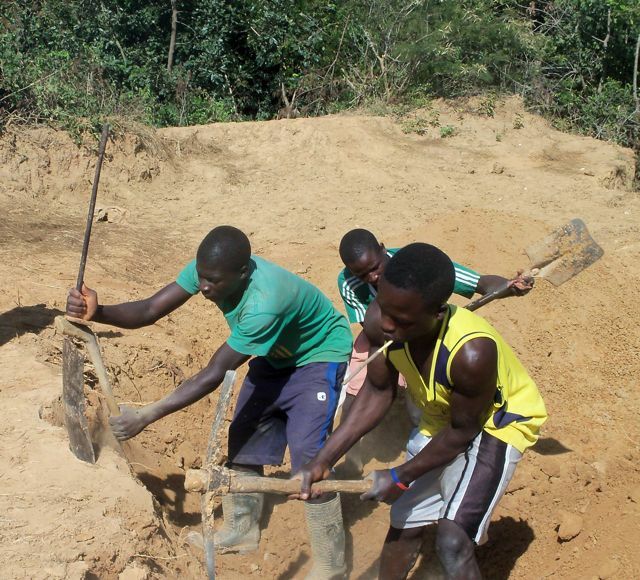 When young boys have an education, but lack education, they often end up heading down that path. Emanuel is sad because this is an endless cycle. If education is not a priority for one generation then it is not going to be for the generation to follow. “We need to break this cycle,” he said. Every Christmas Emanuel buys all the children in the community a small pad of paper and a pen. 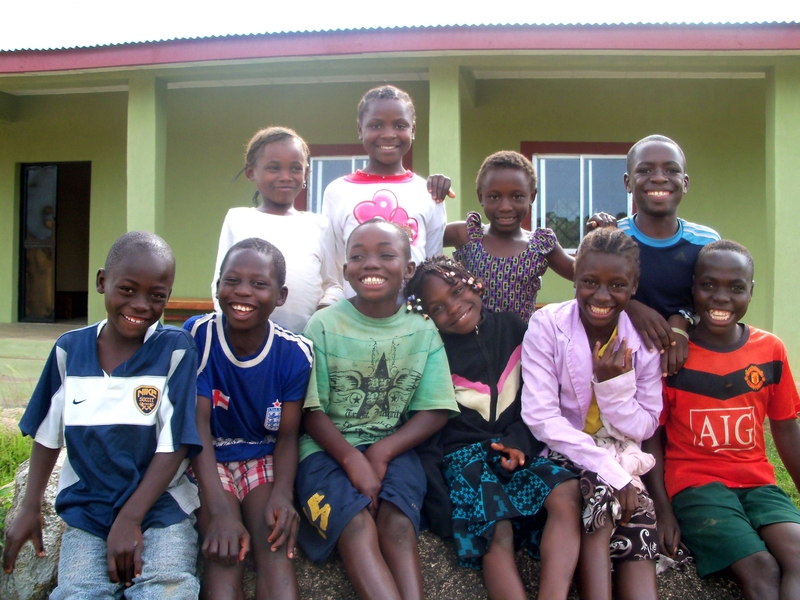 In January, we are opening the Oasis Education Center to help the children by brining a tutoring program to the village. We will start off small by teaching the basics. But in the end, our hope is to make a life long investment in every child in this community to end this generational cycle. 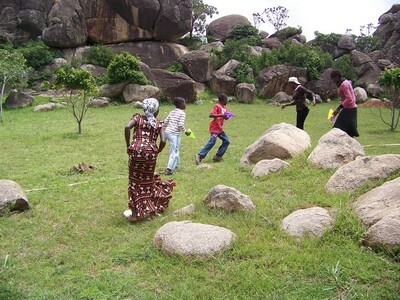 Recently, we Back2Back Nigeria staff had an outing with the children from Our Ladies of Apostles (OLA) orphanage. We had originally planned to have a swimming party, but we woke up Saturday to a cool, overcast day so we changed our plan quickly. We picked up the kids, packed lunches, and went to the Viewing Center (OCC – Oasis Community Center) where we showed some cartoons (which the kids loved), ate lunch and then for the fun part – we let them explore. I loved having Daniel sitting close by my side as we watched cartoons together. We brought water squirt guns and gave them to the kids and just let them run around and be children. And, of course, they all climbed the rocks. I stayed behind. I could barely watch as the children, in their flip flops, climbed those high rocks enjoying every minute of this new adventure for them. At the children’s home, they are in a confined area (the hospital/home compound) so to see them running and jumping and just playing hard was a well-spent afternoon. I include these pictures of the “rocks” because there is something so beautiful about them. The rocks below are some of my favorite. Just look at them for a minute. Don’t they look like a big puzzle with all the pieces fitting in perfectly? 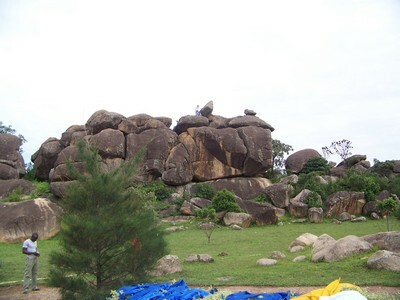 God’s Word says that “the rocks will cry out” declaring the glory of God . It really is true – I see God’s beauty in the rocks! Abigail (pictured below) is the nicest woman. 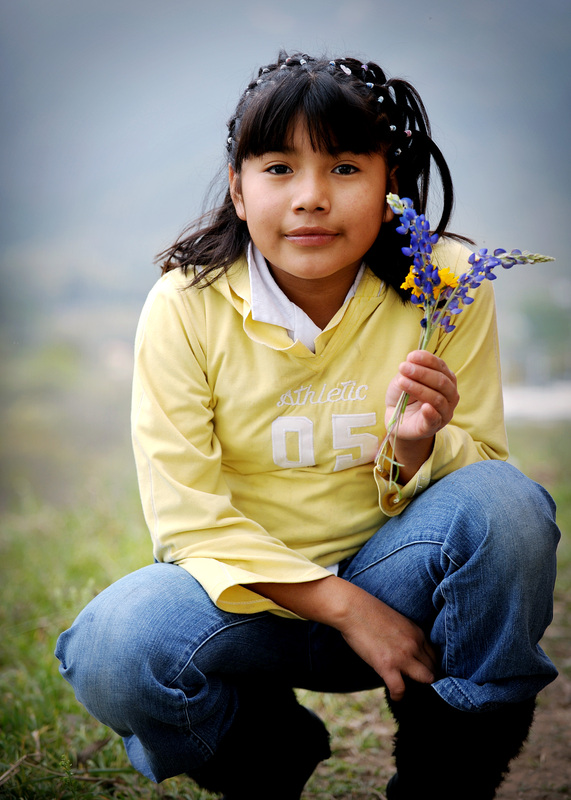 She is forty years old and has been at the children’s home since she was ten years old. The children love her and she has the sweetest disposition. She and I stayed behind behind while the kids were rock climbing and I noticed that she watched all the children very carefully the whole time. 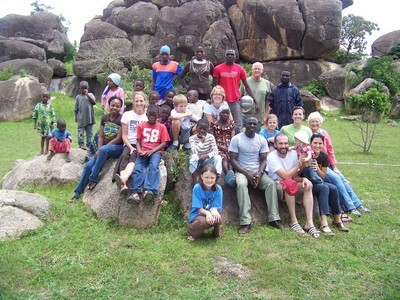 At the end of our time together at OCC, we all sat upon one of the smaller rocks and had our picture taken. Young and old alike – smiles everywhere. It was a good day for all!